1. 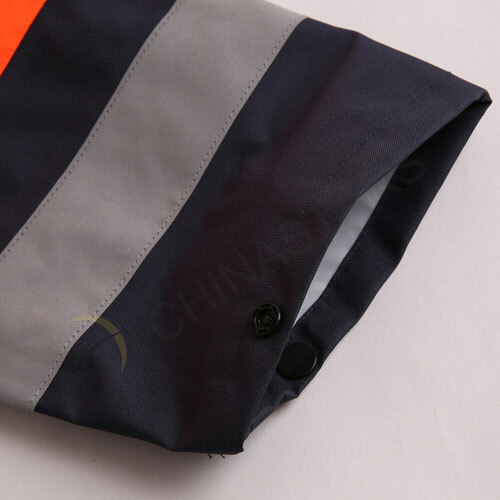 This two-tone reflective rain jacket match up to CSP-004 in our safety pants list. 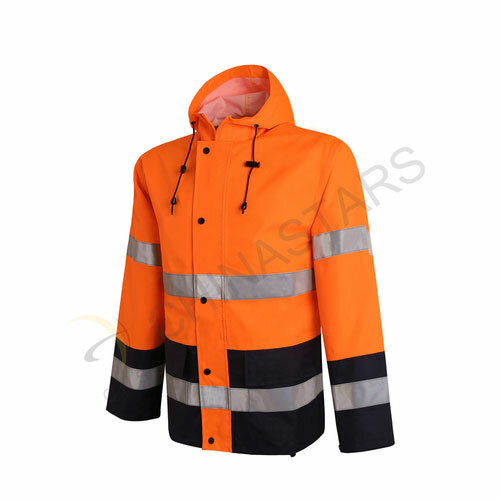 The rain jacket is in class 2 , while when you wear it with a two reflective strips safety pants they can be a class 3 overall. 2. 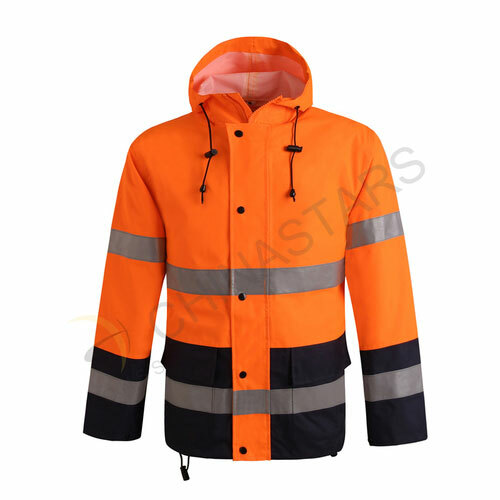 It is a great reflective raincoat which provides maximum visibility and wet weather protection for people who have possibility to get wet on roads, highway, construction site and other outdoor area. 3. 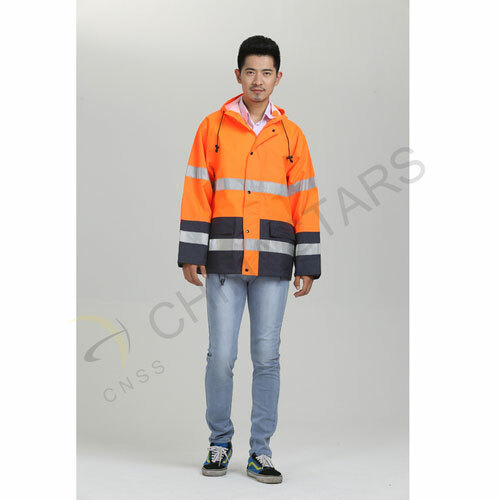 Designed with two horizontal reflective strips on body four round reflective strips on sleeves for riders and walkers that can effectively help people to be seen in heavy rains. 4. Attached hoot designed with draw strings and two elastic fixations avoid you getting wet. 5. There's no worry about the winds get into you cuffs, since you can botton up the cuffs with the snaps on it. 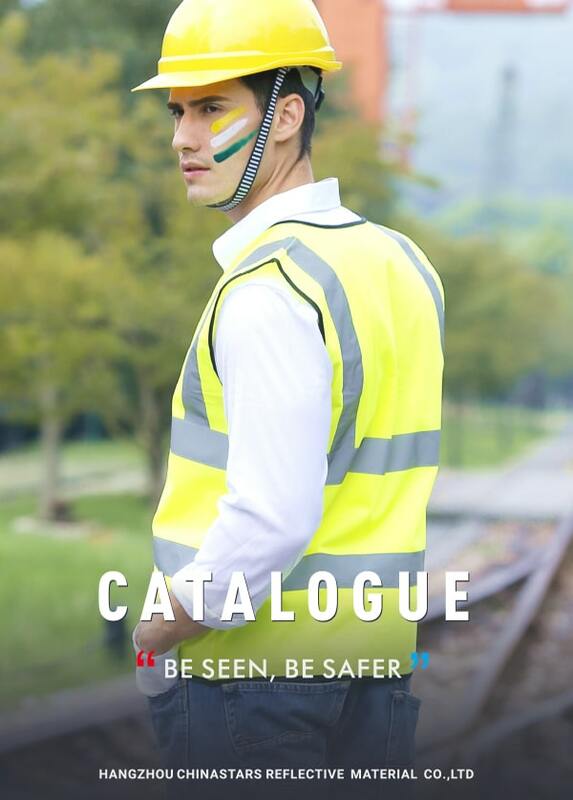 With the snaps, you can also pull up your cuffs, if you want. 7. Two large pocket bottom with Velcro. 9. Logo imprint is available! 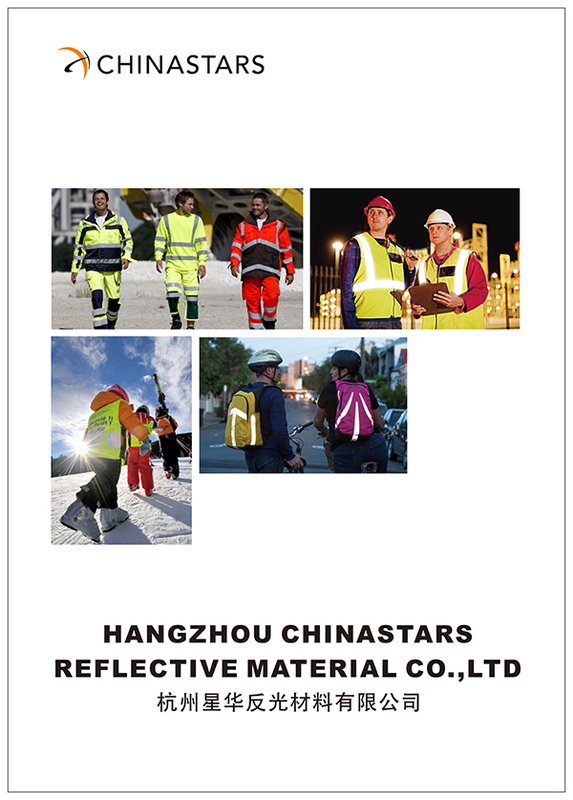 You can also customize your own vest by changing the color, reflective tape, fabric or adding pockets etc. 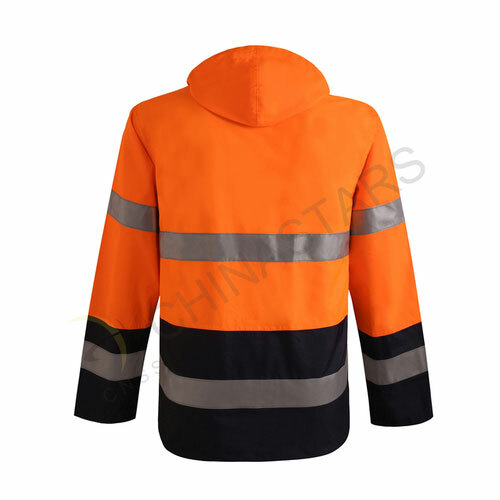 We keep stock for regular styles, and can send out as soon as possible.